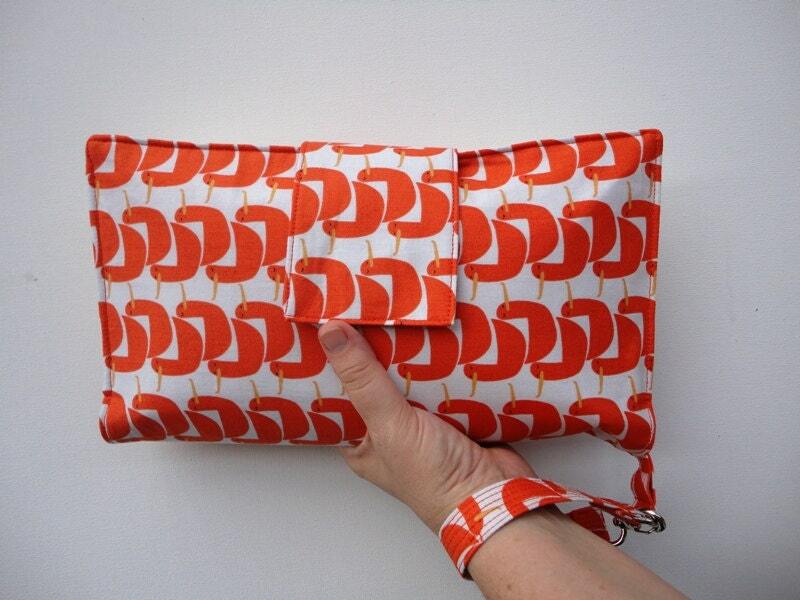 This tutorial shows you how to make my popular diaper clutch in three different sizes. It has measurements in both metric and imperial (cm & inches) and includes lots of photos. The actual pattern peices are not included as they are all rectangles (the sizes of the rectangles you will need is included). It is now available as an auto download. If you have any problems with the auto download please let me know and I will email it to you. I am happy to answer any questions you might have about this tutorial both before and after purchase. Diaper pouches make great gifts for mothers to be, baby showers, mothers day gifts, birthdays, christmas . . . The final 3 listing photos shows examples of what can fit in each of the 3 sizes. You are able to sell diaper pouches made from this tutorial. Please include, “made with an AinsleeFOX tutorial” or link to my store when selling diaper pouches made from this tutorial. This tutorial is for your use only. Each person who wishes to use this tutorial should purchase their own copy. This listing is for the PDF tutorial only.